All of our custom denim is limited, as they are handpicked, made in the USA pieces. We just need a little info from you! Please give us accurate measurements to ensure a perfect fit! Mind if we text you? We may send you photos of pieces for quicker communication. Please measure your waist around your belly button & your hips around your booty. For your best fit, let our curators know your body type so we can design a pair that is right for you. 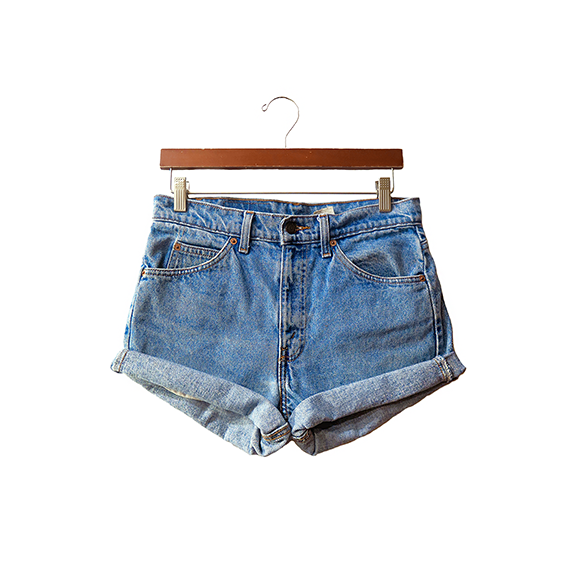 Saw a pair of distressed cutoffs online you absolutely love? Attach the link here and let our curators recreate it! Thank you for your custom order submission! One of our designers will reach out to you shortly. You can expect your order to be complete within 1-3 weeks. We follow a similar guideline for the distressing on each pair of our cutoffs, but if you have a specific request please let us know! We can either cuff the cutoffs for a folded look, or cut them for a frayed, ram hem look. Want a lil' rip on the booty? We can do that on one, or both sides of the cutoffs. We are working with vintage denim and cannot guarantee that all sizes, in all washes will be available. However, aligrace will always work with you to find your perfect pair! Contact us at: info@shopaligrace.com with any questions. Please allow 1-3 weeks for completion of your custom order.